After 10,000 years as the Imperium’s final line of defence, the Adeptus Custodes are marching forth from Terra in force, and thanks to a new codex, you’ll be able to lead them in battle with new units, Stratagems, Relics and much more. In the first of our daily previews this week, we’re looking at one of the most requested additions to the arsenal of the Adeptus Custodes – dedicated HQ units! Every member of the Adeptus Custodes is a hero in his own right. Each is a veteran of decades or even centuries of warfare, honed by constant training and the greatest wargear and gene-craft the Imperium has to offer. Each is a warrior, statesman, diplomat, historian, philosopher – a true heir to the lineage of the Emperor. Some, however, go above and beyond even their enhanced brethren and are given the honour of Shield-Captain – commander of a portion of the strength of the Ten Thousand. Above them lies only the Captain-General, perhaps the most prestigious warrior in the entire Imperium. The new Codex: Adeptus Custodes brings the Golden Legion to life as never seen before, delving deep into the military traditions of these renowned warriors and providing rules for them to match. One of the most requested units for the Adeptus Custodes, following their first release, was a dedicated HQ unit for the army – so we decided to give you four. Every upcoming Adeptus Custodes kit has been cunningly designed so you can also use it to build an HQ option armed with the same wargear as his brethren. This means you’ll be able to take Shield-Captains in inviolate Allarus Terminator armour or mount them on fast-moving Dawneagle jetbikes. Strong WS and BS mean these storied champions are unlikely to miss, while Toughness 5 along with 6 Wounds makes them very hard to kill – especially when you factor in their excellent saves. Offensively, you’ll be able to choose from a wide array of wargear, from the classic guardian spear to the new castellan axe, a huge weapon that trades the AP of its predecessor for bonus Strength and ideal for cleaving heretics in half. As for the Shield-Captain on Dawneagle jetbike, we’ll be taking a closer look at what these ancient war machines can do later in the week. 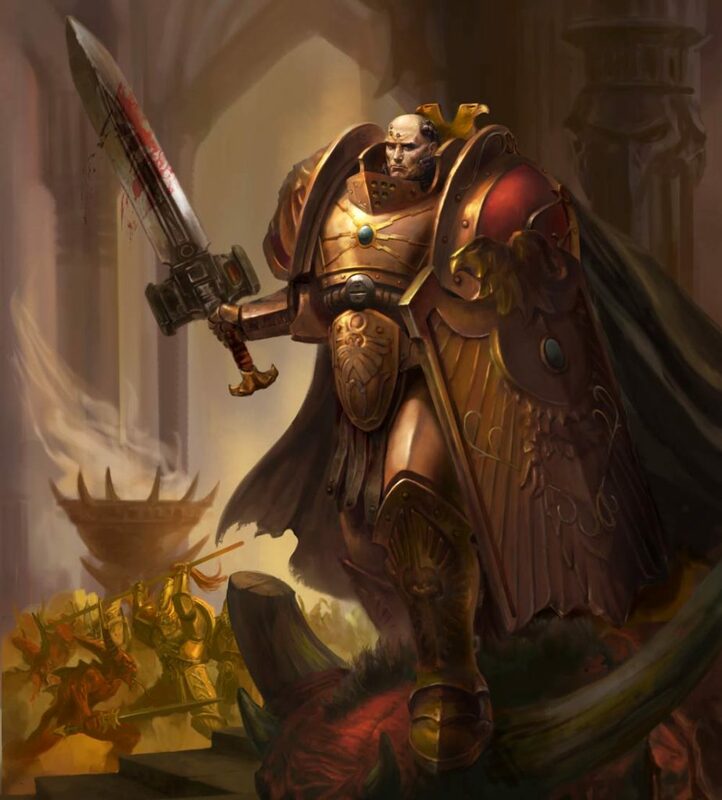 Trajann Valoris is the Captain-General of the Adeptus Custodes, making him one of the most powerful military figures in the entire Imperium, charged with defending the Sol System, Terra, and the Imperial Palace. First seen in Chris Wraight’s The Emperor’s Legion, this legendary figure is among the most proactive of the Adeptus Custodes, and is responsible for bringing the Golden Legion into a more aggressive role. 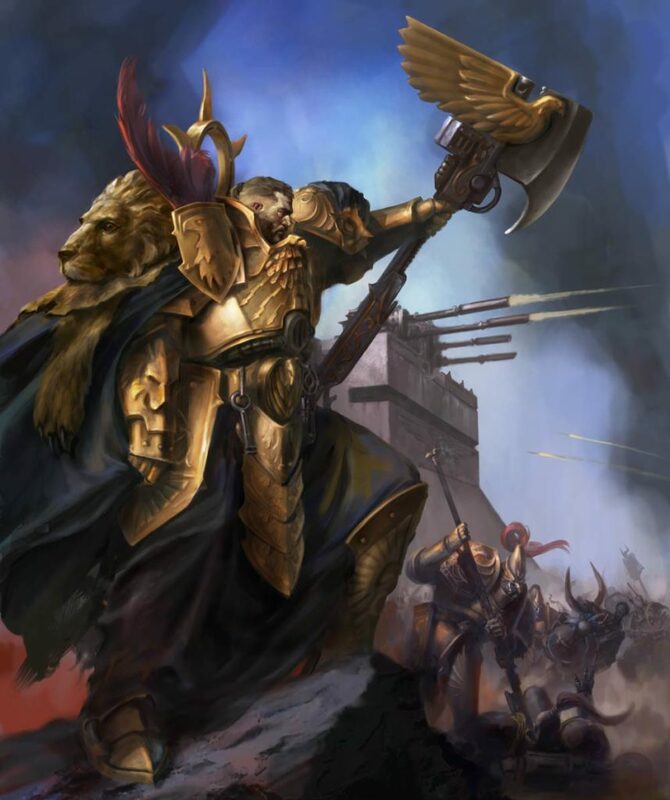 On the tabletop, Valoris has a statline and set of wargear and abilities to match his reputation, and is among one of the most powerful commanders any Imperium player can field. Valoris has a similar statline to his brethren, but wields a much stronger weapon in the Watcher’s Axe, an artefact that gives him five Strength 10, AP-3 attacks on the charge, dealing D3 damage apiece. 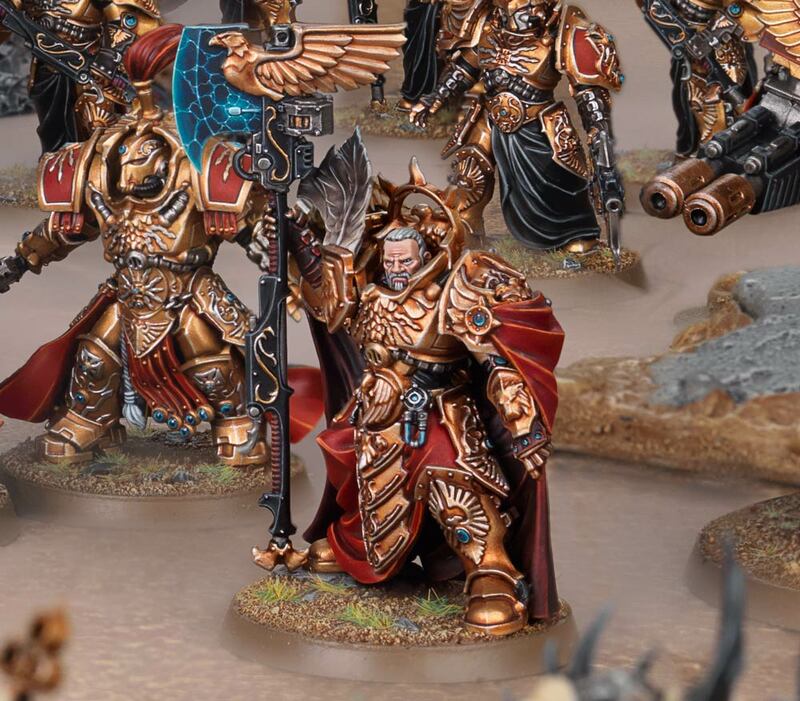 This gets even deadlier when you take Valoris’ Legendary Commander ability into account – any friendly Adeptus Custodes within 6″ of Valoris (including himself!) re-roll hit rolls and wound rolls of 1. 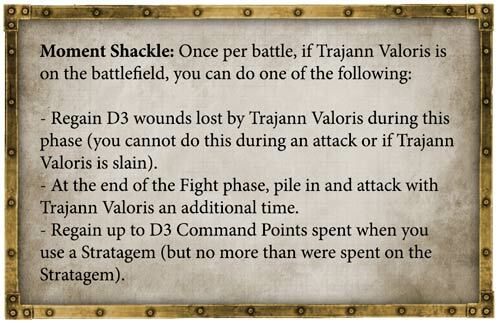 Valoris is also armed with the Moment Shackle, an unusual relic of Dark Age technology which lends him some extra flexibility during your games. Once per battle, you’ll be able to pick a powerful one-time ability for Valoris, from fighting again at the end of a Fight phase to regaining lost Command Points. Holy throne! is my reaction to seeing this..
An elite, low-model-count, easy-to-paint army. What's not to love? 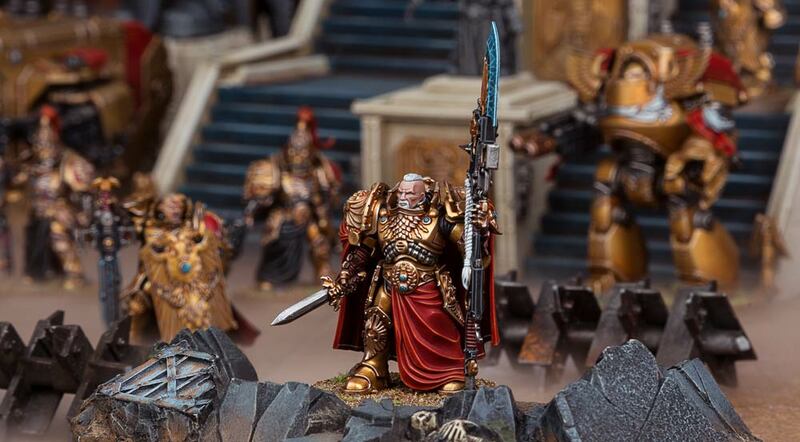 In a way, I think the Custodian Guard is stealing the classic role of the space marines as the ultra elite rapid strikeforce of immortal demigods, whom utterly shatters and brutalizes whom they impact upon. One reason I heard for the appearance of the marine+ Primaris Marines is that baseline marines had pretty much been powercreeped into mediocrity and was far from their fluff-threat. Though from the sounds of it, the Primaris line only feels halfbaked, and then here comes the marine++ Custodian Guard, a lot more fleshed out than Primaris Marines with a -LOT- of toys incomming, and even a real and super powerful figurehead in Trajan Valoris as the golden legion adapt to their new role as crusaders. Anyway, Primaris are really only half-baked if you WANT them to be Marine+... They're Marines with a SLIGHT advantage over their brethren, and a good part of that is technological (new iteration of weapons). Marines are as dangerous as they ever were to normal mortals. TBH, the only thing in the classic Marine lineup that I think might need a bit of help is the Tactical squad.